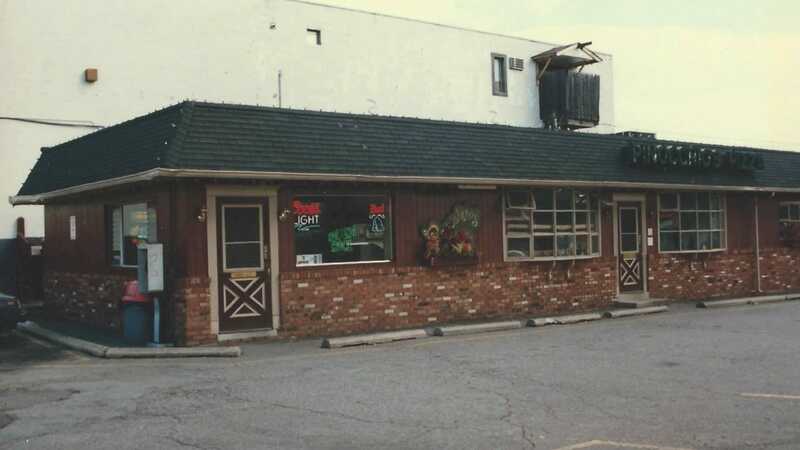 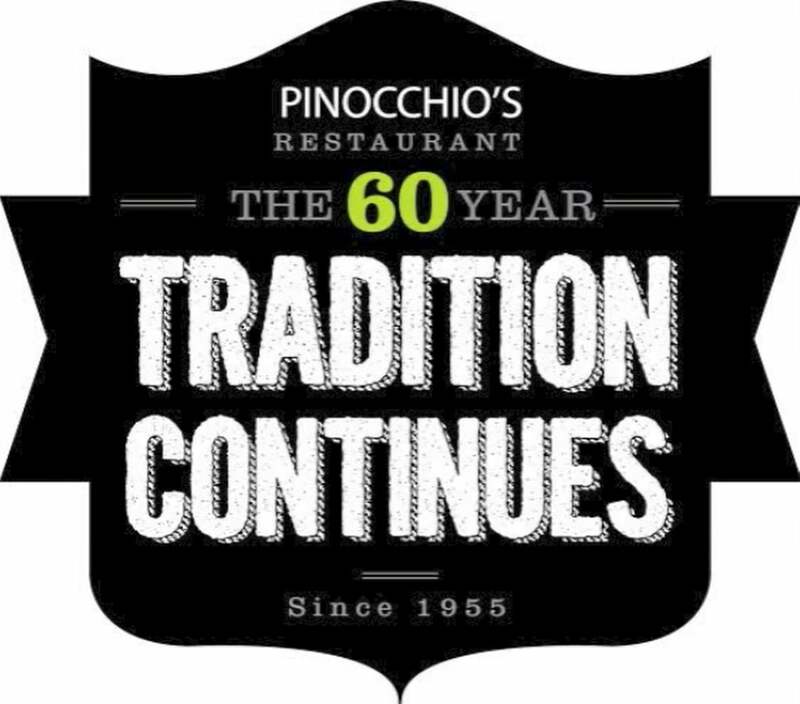 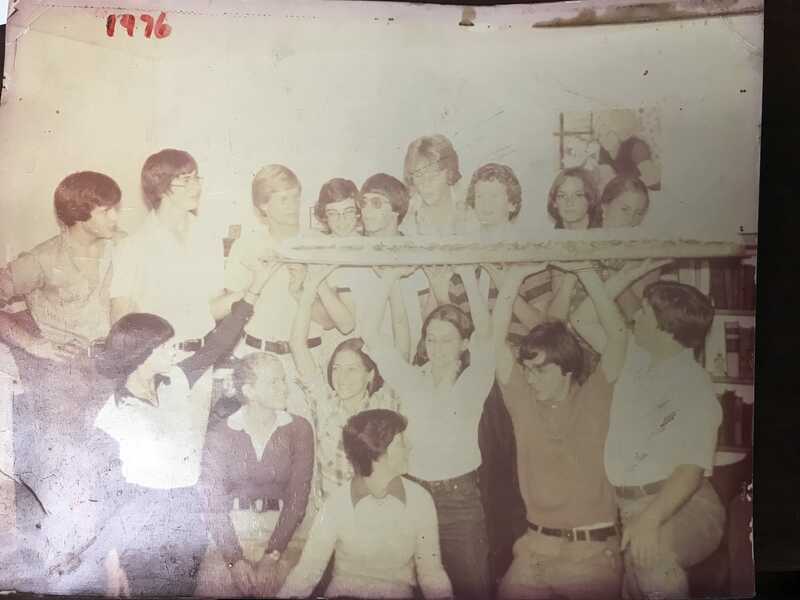 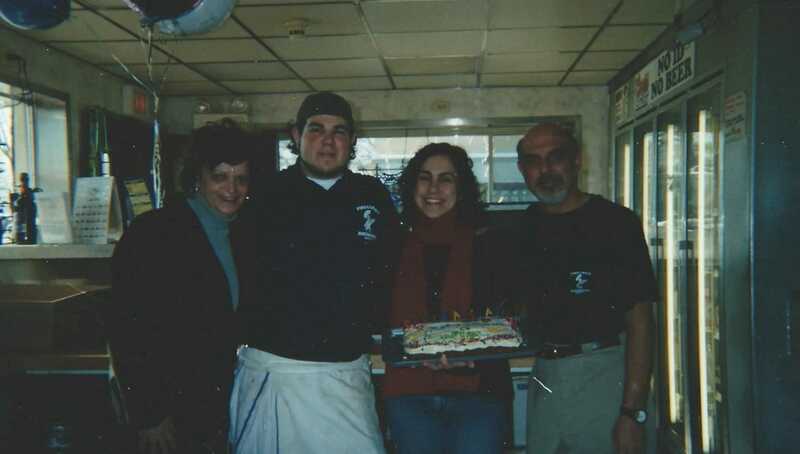 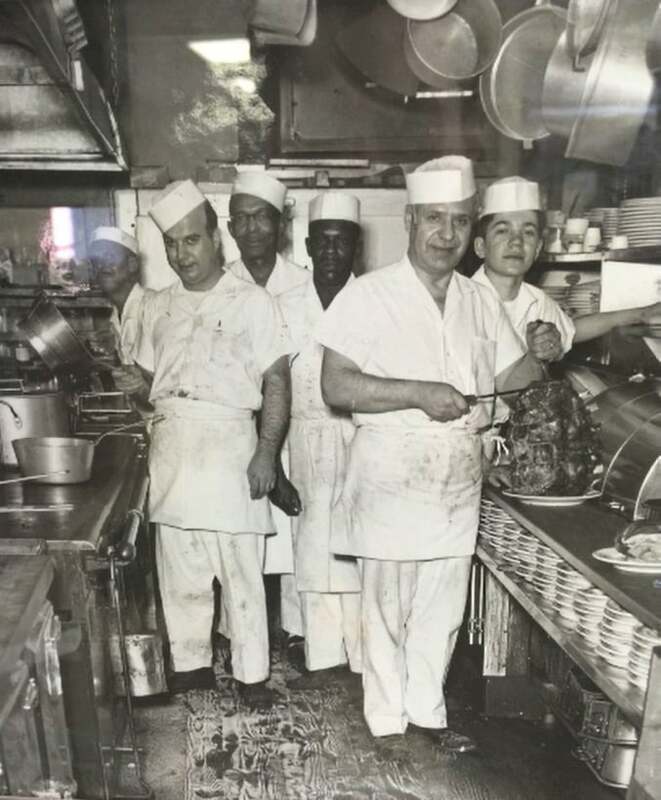 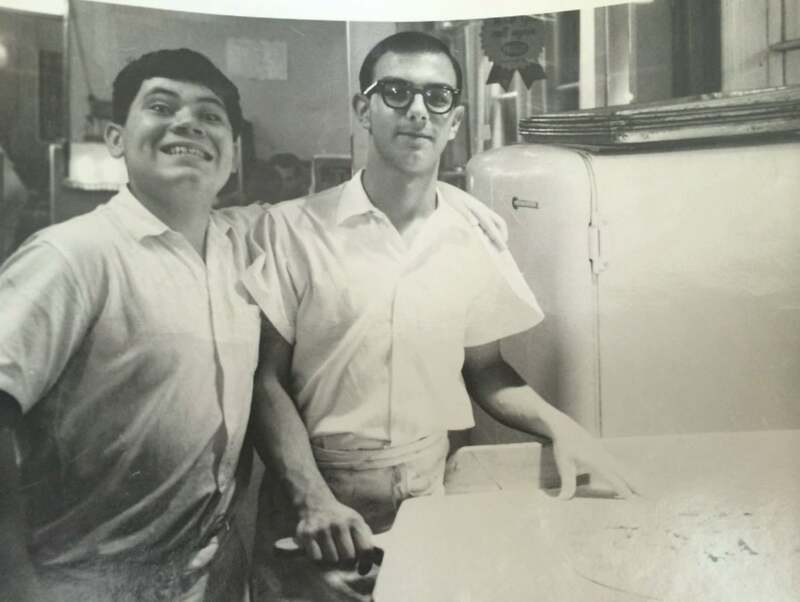 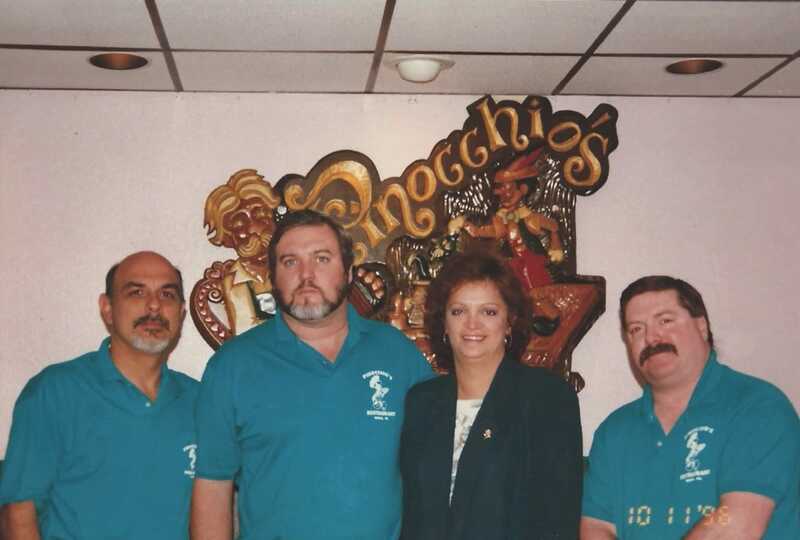 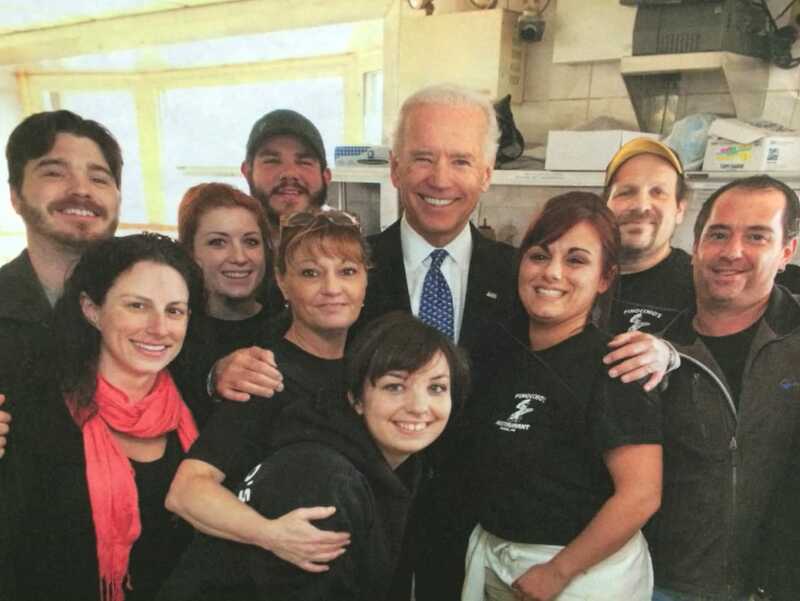 Pinocchio’s Restaurant was established in 1955 and has since become a family tradition as well as a staple within our community. 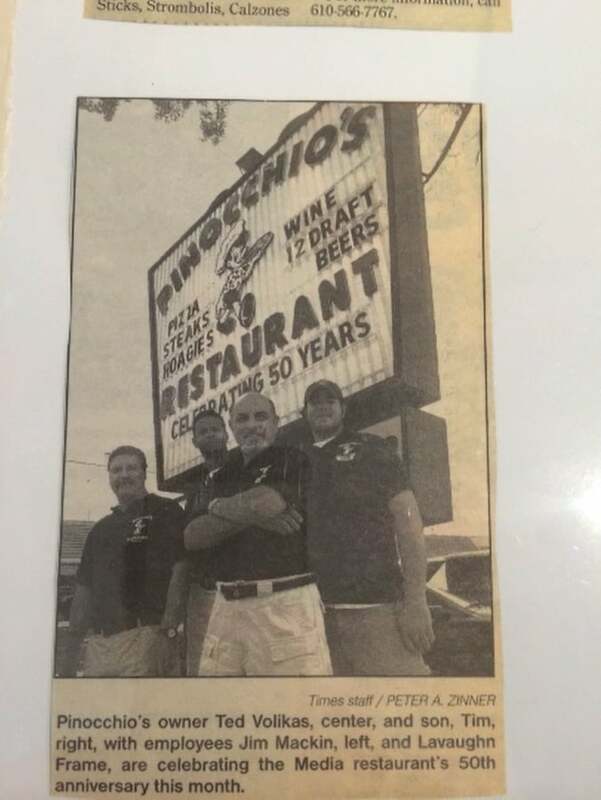 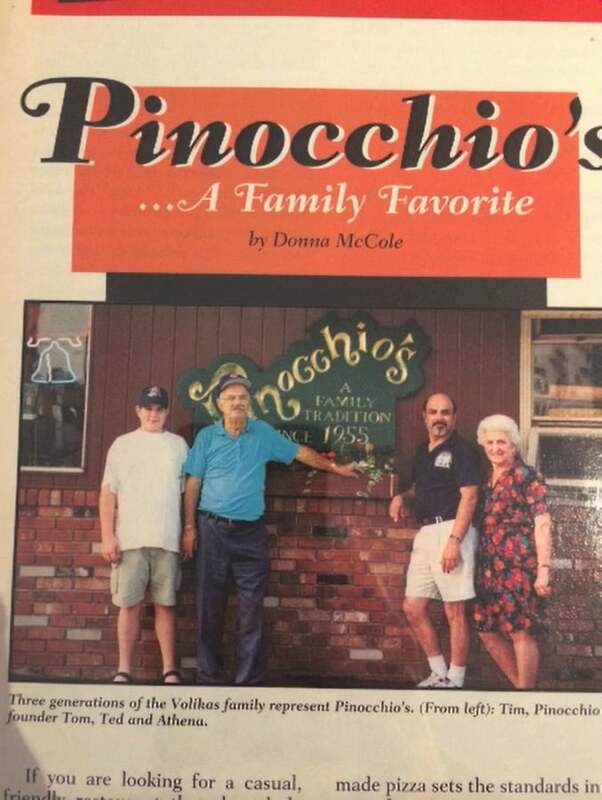 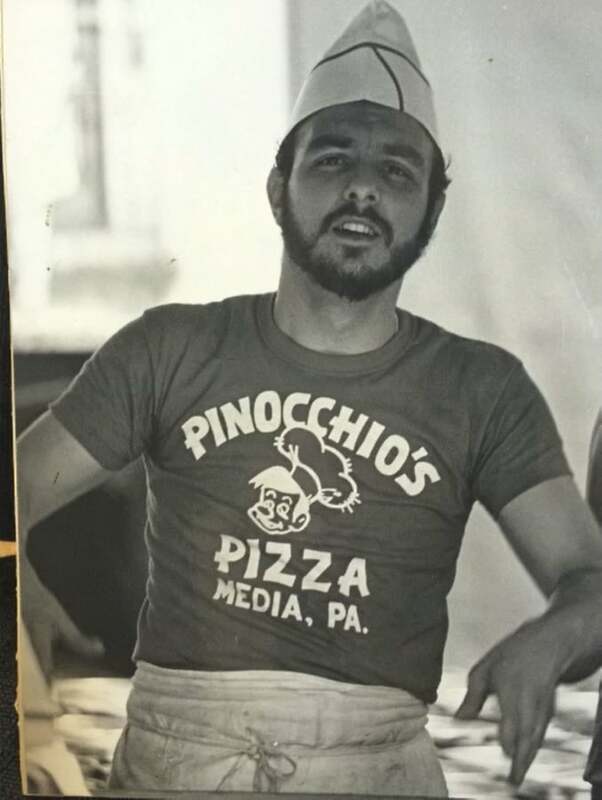 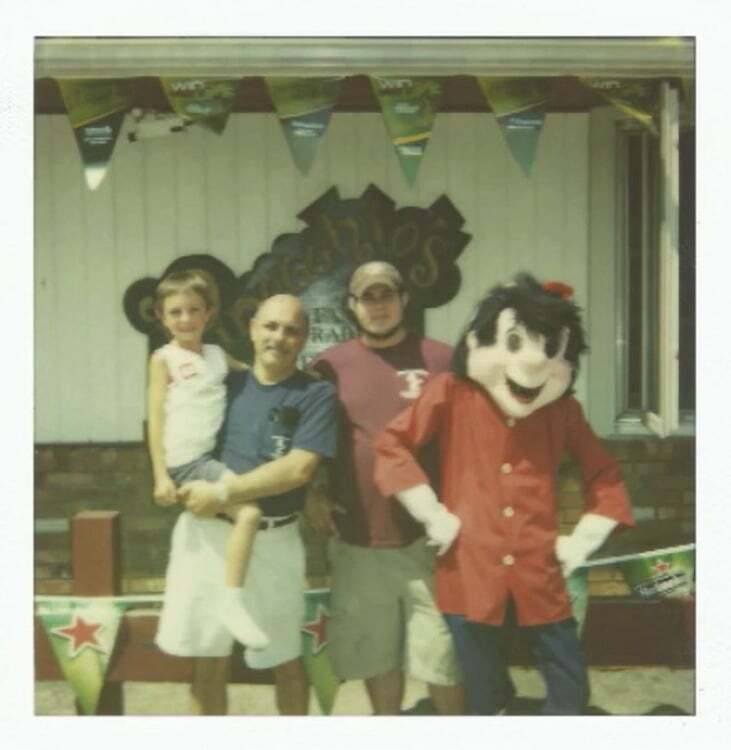 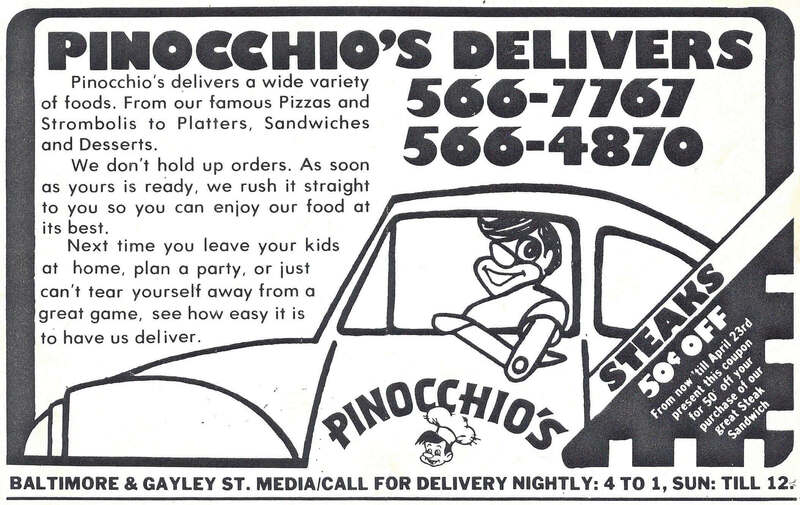 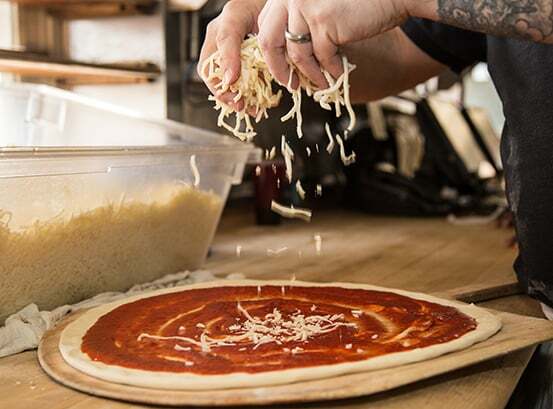 Pinocchio’s was the first Pizzeria in Delaware County and is the oldest restaurant Media, PA. Pinocchio’s is a family restaurant going back 3 generations. 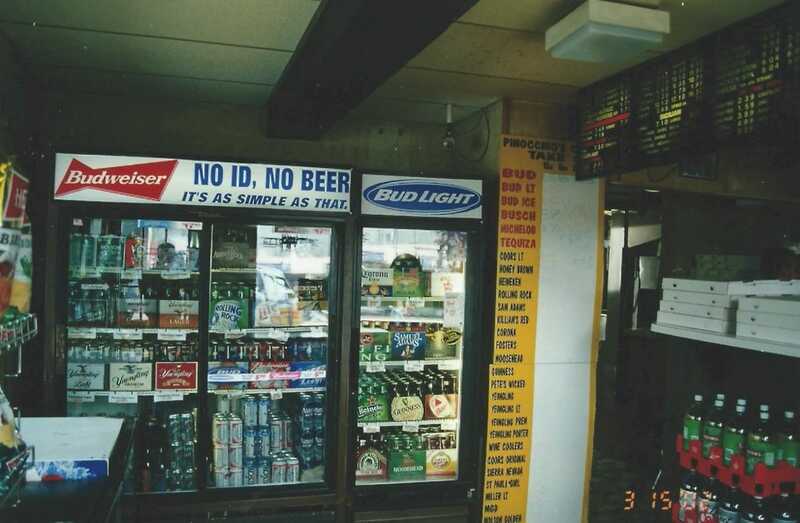 The award-winning Beer Garden To Go was added in 2009 and offers over 1,000 varieties of craft beer as well as domestic imports. 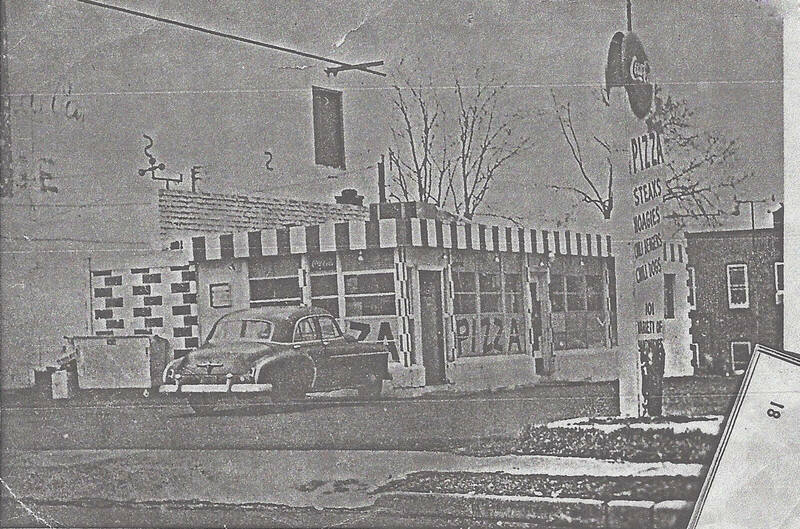 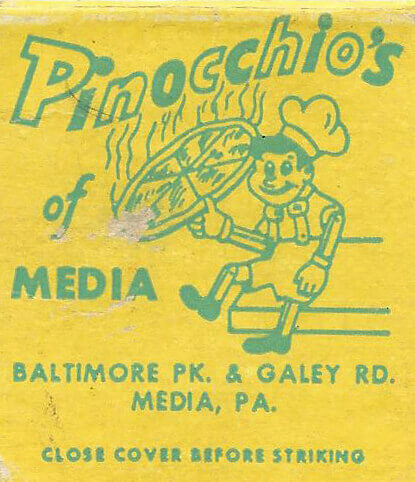 Pinocchio’s was established in 1955 as the first pizzeria in Delaware County(original matchbook from 1955). 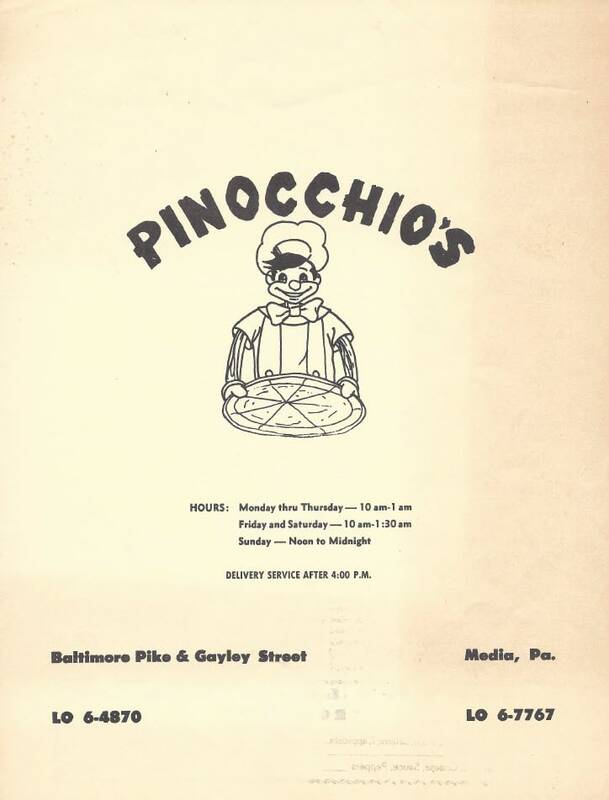 Pinocchio’s introduced homemade chili, tacos, enchiladas and burritos to the area. 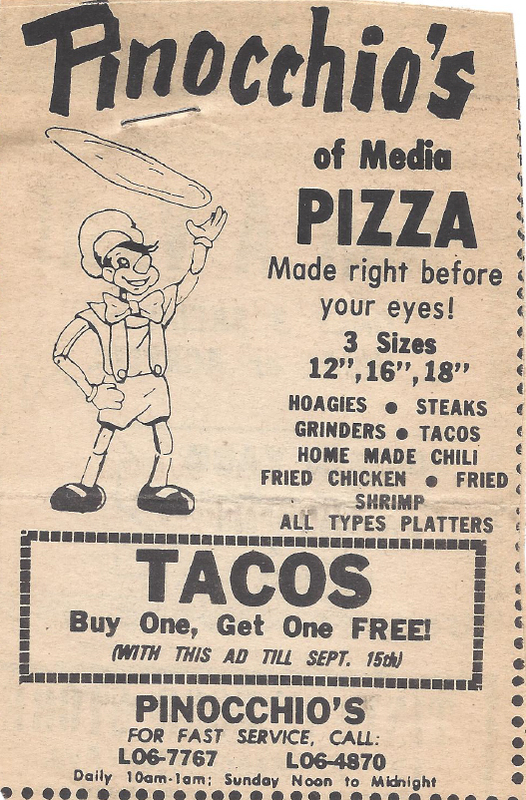 The closest place to get Mexican food was New York at the time. 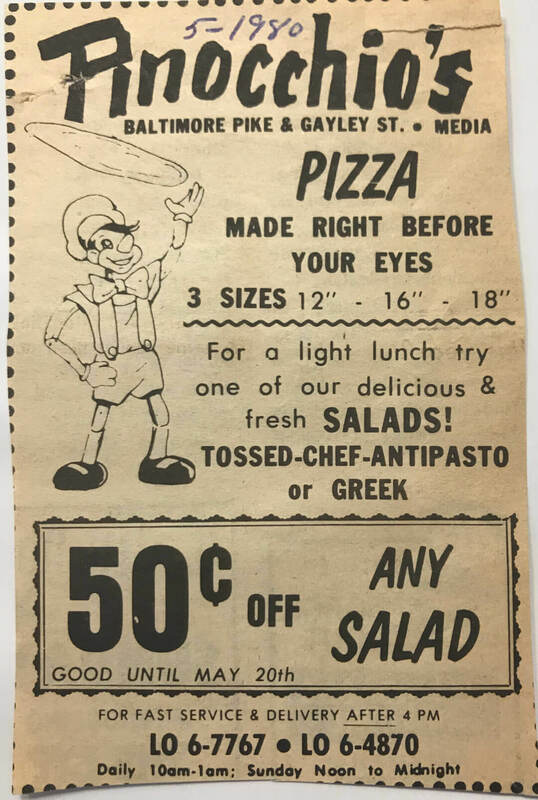 "Pizza from out of this world!" 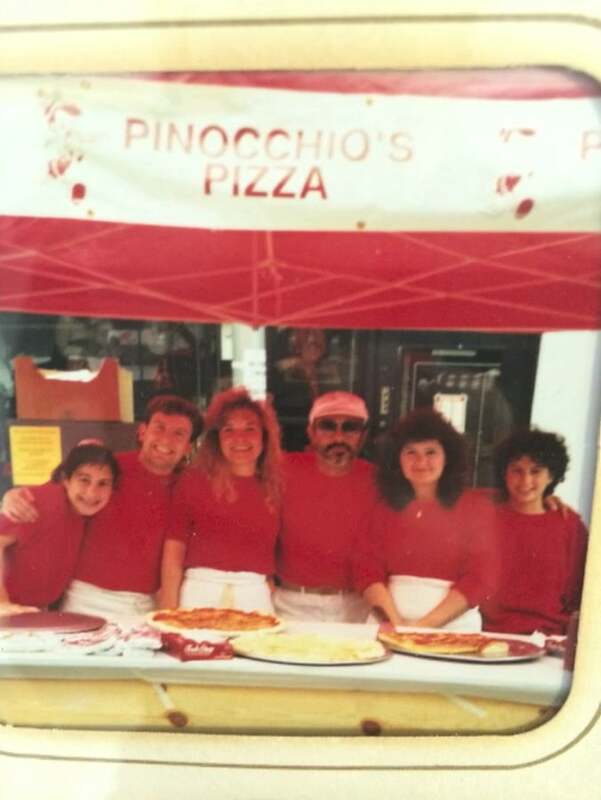 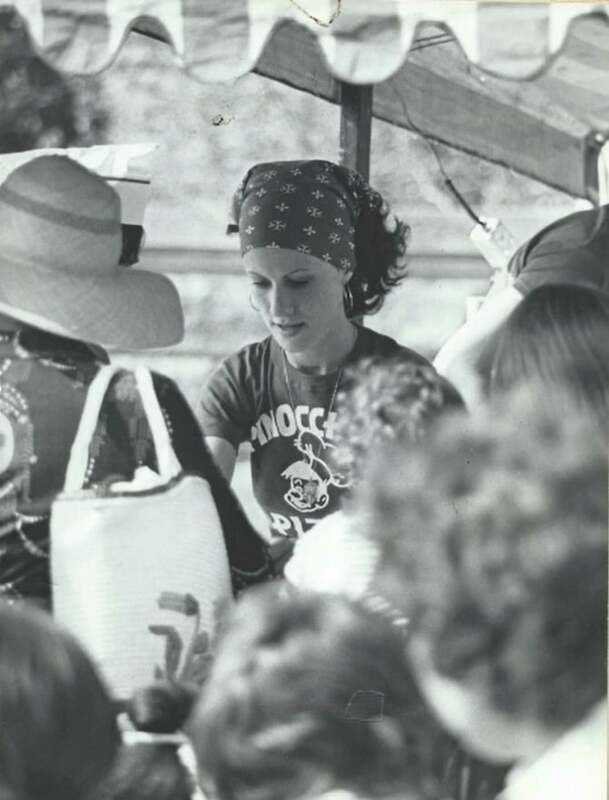 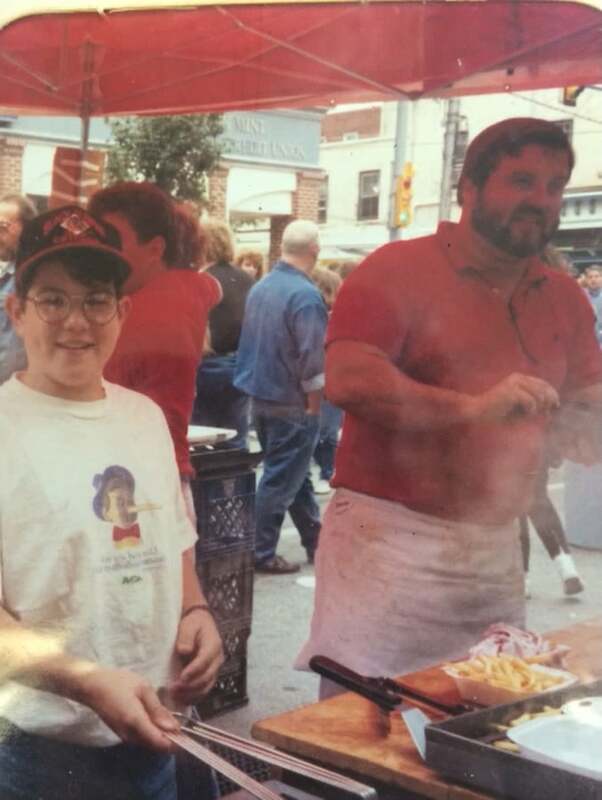 Jane Pennington (Tim and Athena’s mom) serving pizza at a Broad Street event. 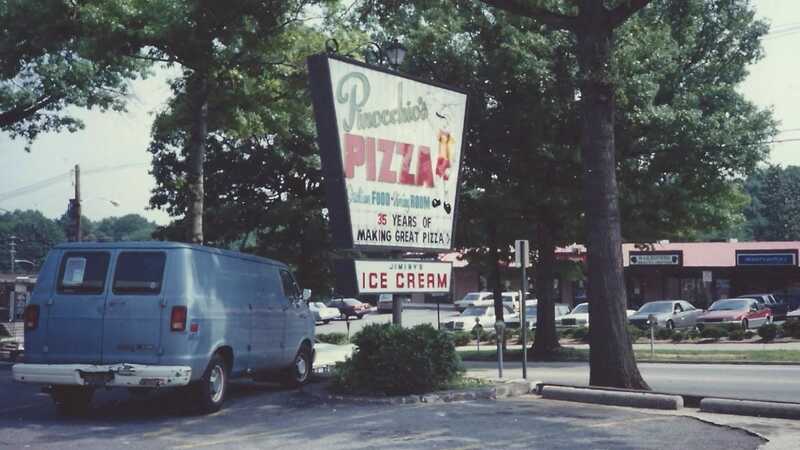 Our outdoor sign has been updated throughout the years to reflect our 7 different logo changes. 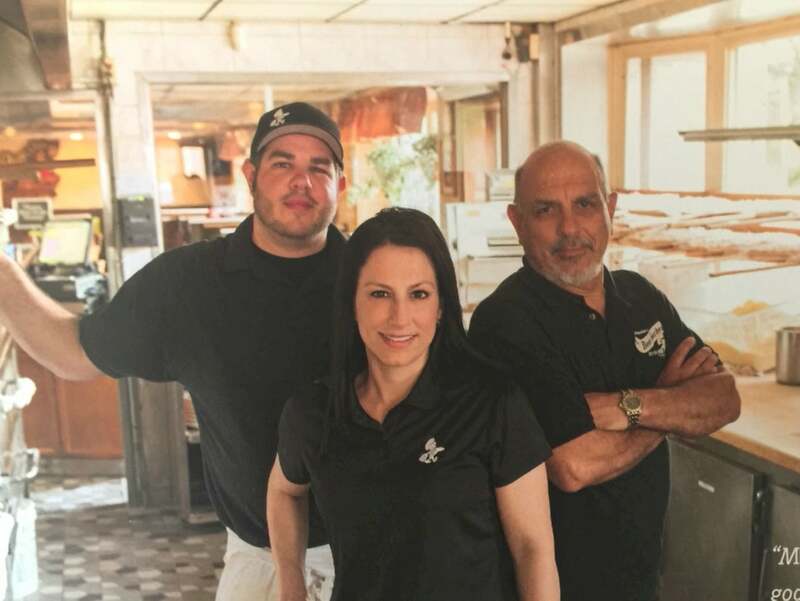 Pictured are Krista, Ted and Athena working at the Media Food Festival. 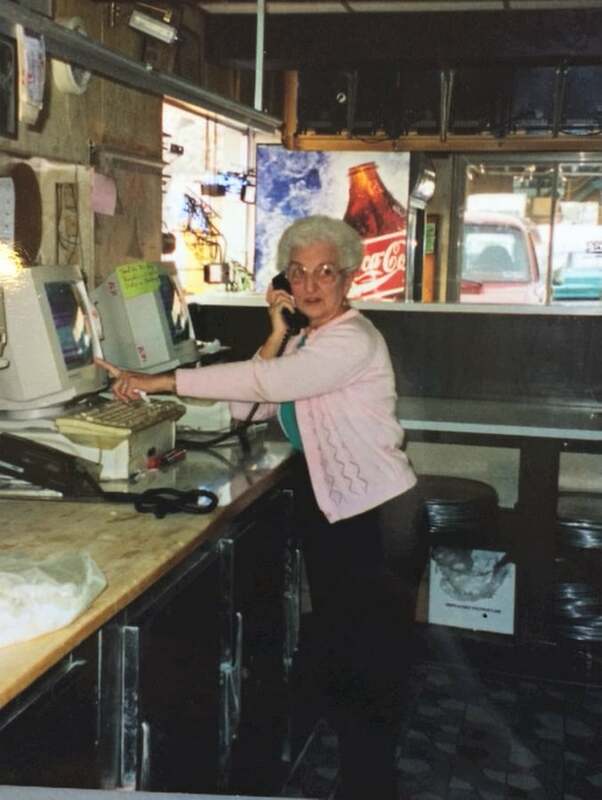 Athena Volikas, our YiaYia, jokes around and pretends to use the restaurant's new point of sale system. 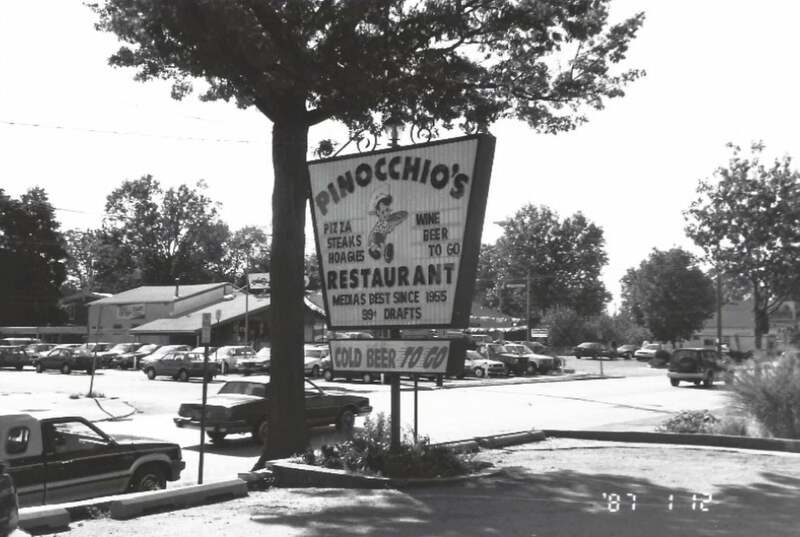 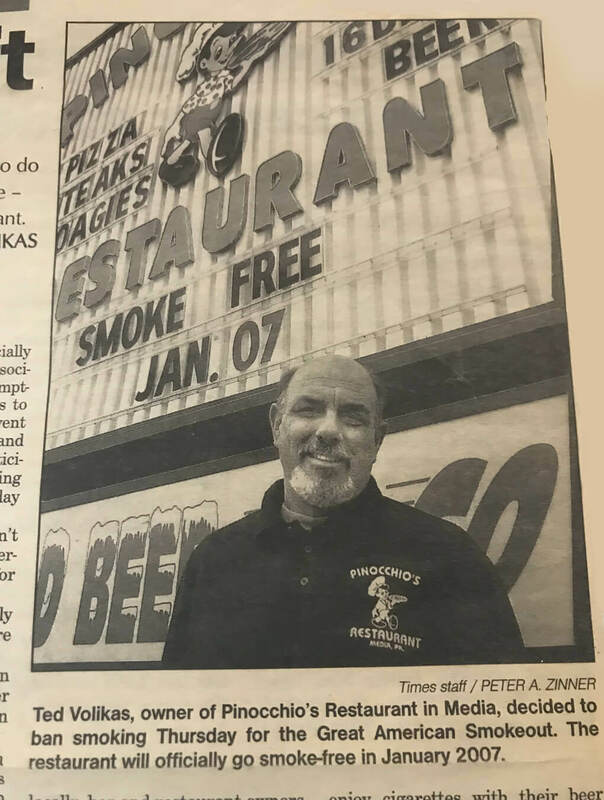 Pinocchio's becomes one of the first restaurants in Delaware County to go non-smoking. 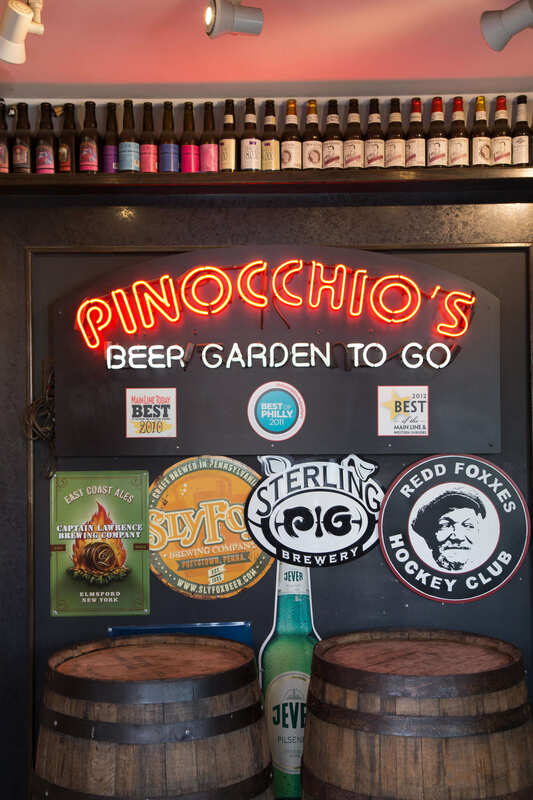 Beer Garden To Go opens! 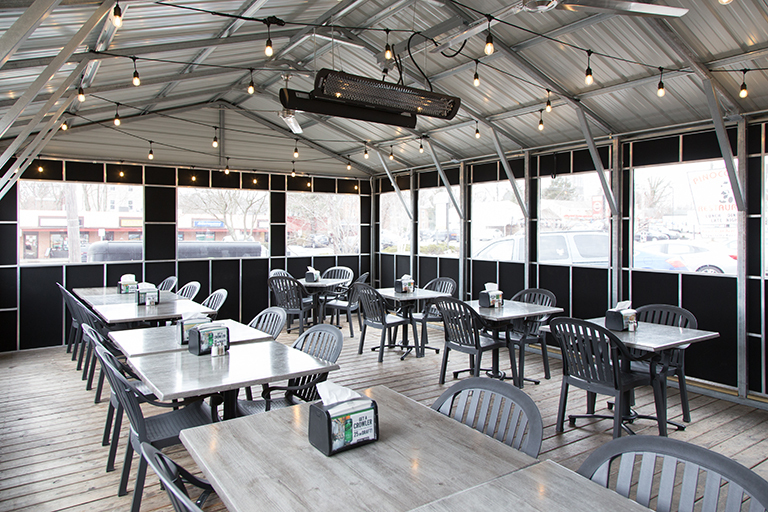 In 2016, we added an outside deck.